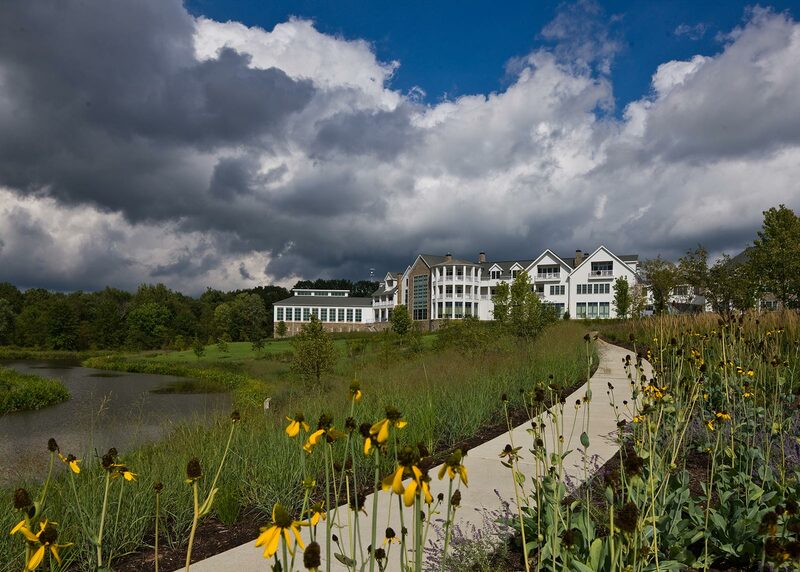 South Franklin Circle, a progressive senior lifestyle village, embraces the urban ideals of community building and makes nature and sensory experience an integral part of outdoor recreation for residents. Comprised of 320 housing units, the community is surrounded by several acres of naturally occurring wetlands, meadows, and forests. 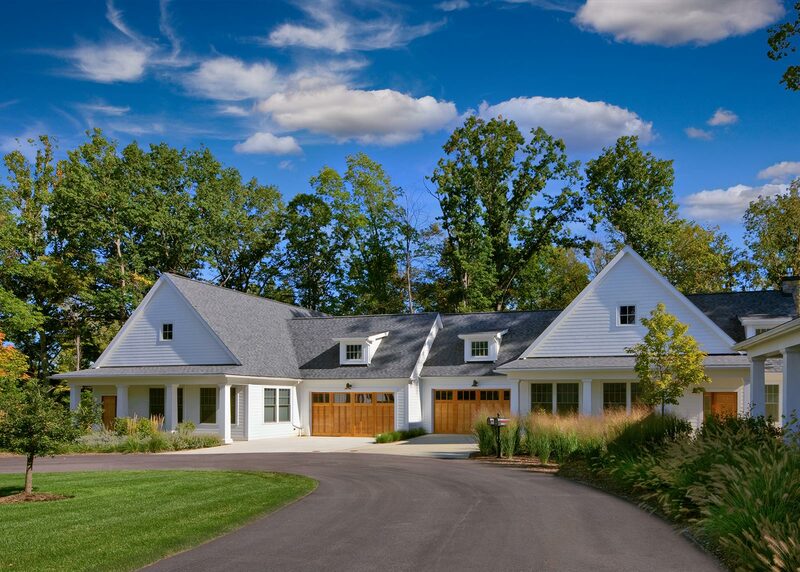 OvS created a master plan for the 82-acre rural site that integrates indoor and outdoor space and drafted sustainable landscape designs that preserve more than 50 percent of the existing woodland canopy. 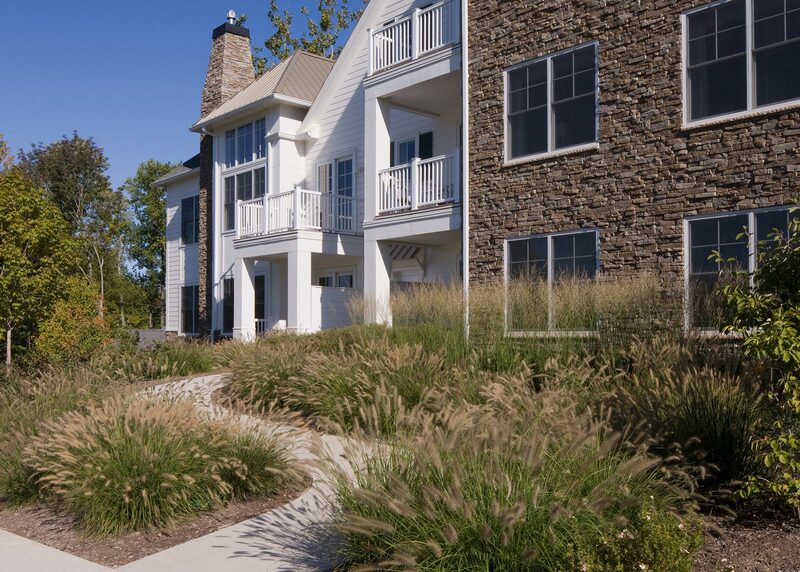 Residents of the community enjoy a network of public greenways, walking trails, and access to several acres of natural and reforested woodlands and restored meadows. 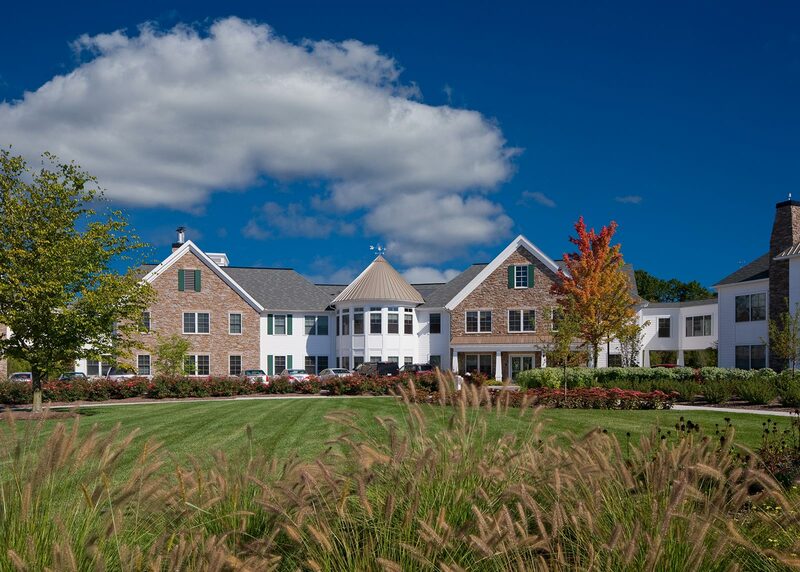 Outdoor performance spaces create venues for events and public gatherings, and a series of sensory gardens and vegetable gardens engage not only the residents of South Franklin Circle, but the communities surrounding the retirement village.